Hallway leads into the comfortable lounge and dining area with a raised closed-in wood burner and Satellite TV. 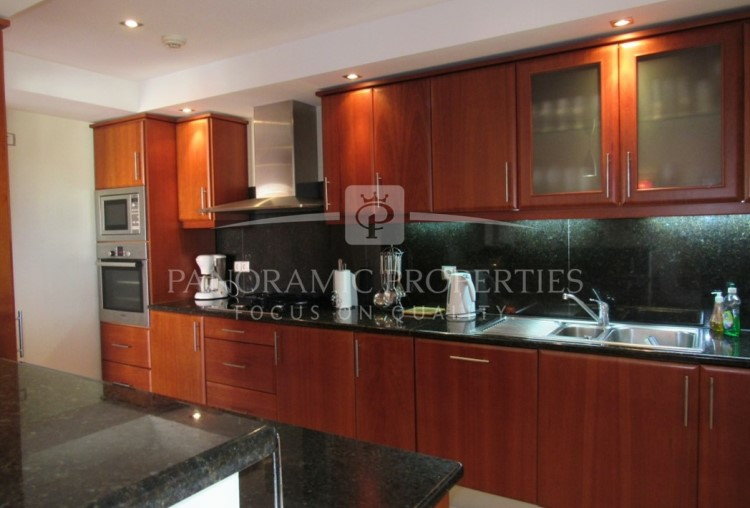 The kitchen is fully fitted and equipped with top appliances - open plan to enhance a convivial lifestyle. 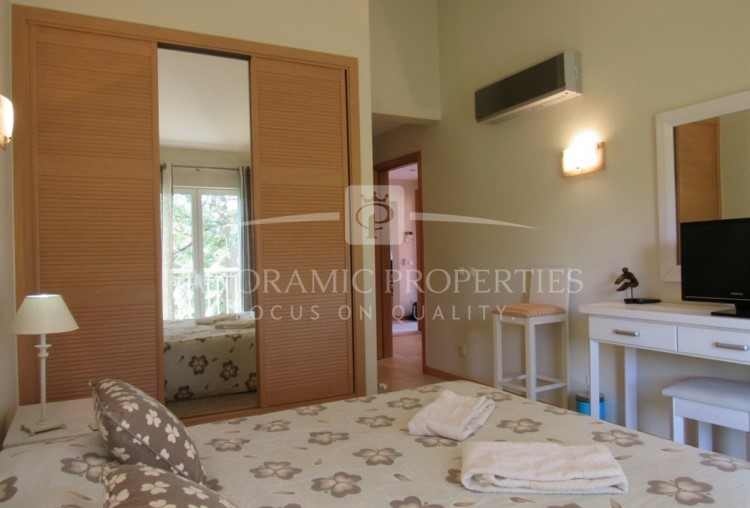 Two good sized bedrooms with fitted wardrobes, two bathrooms – one ensuite. Nice spacious balcony for relaxing or dining whilst enjoying the lovely views. Many extra features including double glazing and central gas heating for the cooler evenings. The pool is only a few metres from your property and is exclusive for the residents. Walking distance to the Club-house. 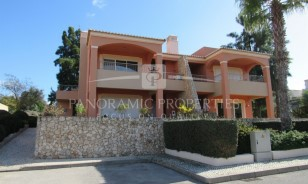 Short drive to many a choice of supermarkets, Carvoeiro and beaches. This is a gated resort with 24 hour security allowing peace of mind and a secure enviroment. 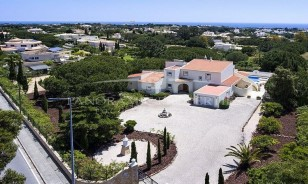 The dream of owning a beautiful holiday or retirement home in the Algarve involves a major financial investment. Quarter-share ownership is a perfect solution. 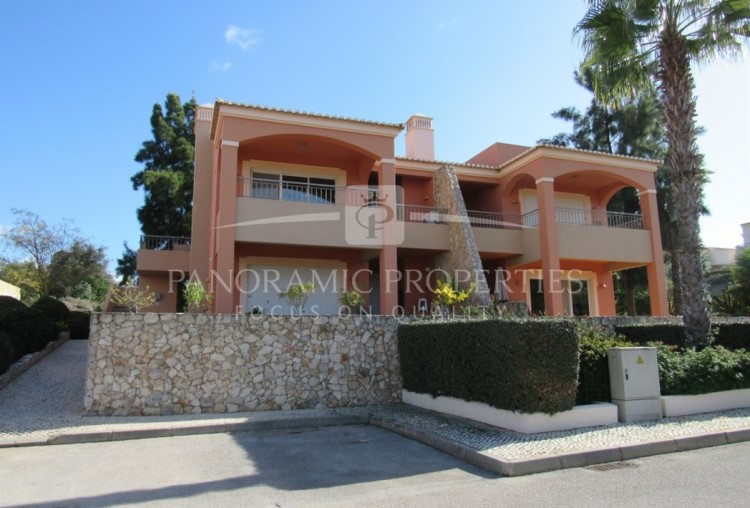 For a relatively small investment you become part owner of a freehold property which is yours to enjoy throughout the year on a rotating basis. Each quarter-share is secured by individual title deeds. Purchasing through this well proven system considerably reduces the cost of ownership as it is split into four equal parts, each owner using the property for thirteen weeks of the year. 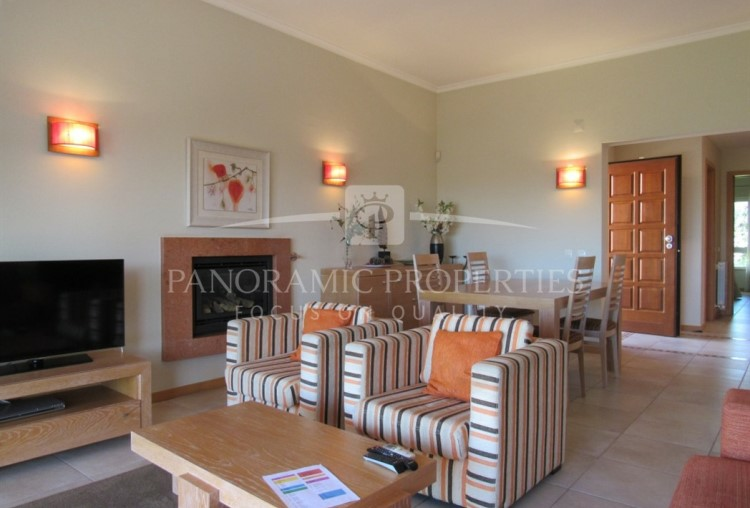 A perfect holiday property awaits you at a fraction of the cost.